I believe that Reid would agree to this….and still they did. 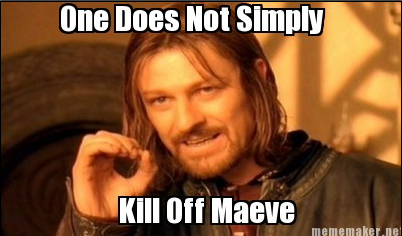 In tonight’s episode we are 2 weeks after Maeve’s death. Garcia and JJ step by Reid’s appartement to see if there is something they can do for him. Actually this whole episode is about Reid’s struggle back to reality and work. He hasn’t talked to anyone for the last two weeks and they are all worried, but Hotch says that it will take the time it takes. He know how it is to lose someone suddenly without being allowed a proper good-by. Reid doesn’t want to talk to anyone, but Morgan reach out to him through the case they are working on. And of course they cannot solve the case until Reid is back and explaining everything for them. I just think it is interesting that as soon as he is gone, they cannot solve a case. Aren’t the rest of the team also suppose to be smart…?? However, when Reid is back you can feel that everything is in order. This episode showed a new side of Reid. We have never seen a broken down Reid before and it hurt to see him in that state. He had lost control and what kept him going on was the book Maeve gave him. There was one scene where he took the book and hugged it while laying in the sofa. Also, in the end you could see that he had taking the book with him to San Francisco. The moste devastating in the episode was when Reid draw parallels between Maeve’s stalker and the artist, the unsub in this episode. It was the first time he said anything about what happened. What the last two episodes have done well is the relationship between Reid and Hotch. I love the scene between them and the soft side we see from Hotch. He is the one that are the closest to understand what Reid is going through. Love, Love, Love!!!!! …Tonight another episode of Supernatural airs, however I am really starting to think that the show cannot be saved. The whole story about Amelia destroyed my faith in Sam. I don’t like him anymore and now I am only Team Castiel. As long as Castiel is on the show, I will continue following it! (which I probably will do anyway, but you get the point). So I am glad that Criminal Minds have stepped up its game and I am looking forward to see Reid’s development until the end of the season. Information has stated that Maeve’s death will effect how Reid will act and what he will do under the rest of the season. This entry was posted in Tv series and tagged Criminal Minds, Criminal minds season 8 episode 13, Hotch, Matthew Gray Gubler, Reid, Tv-series.